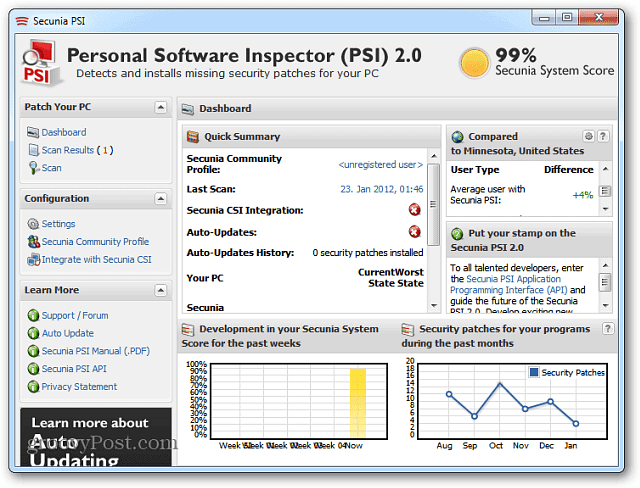 Secunia PSI, or Personal Software Inspector, is a free utility that is much like the Belarc Advisor system profiling tool. However, unlike Belarc, Secunia’s tool will automatically update a large number of programs. For those that it cannot update, it usually points you to a location where you can download the update yourself. The utility does require internet access as it compares your installed software to a database that Secunia maintains. The initial scan can take a while – I’ve seen it take an hour or more – but subsequent scans will be much faster. When the scan is finished, you’ll be presented with the results. I’ve noticed a few peculiarities, mostly around old programs leaving files in system directories. Secunia usually flags these as out of date programs. Since I can’t be sure, usually, that these application files aren’t needed, I generally add them to the ignore list. Secunia also has no idea if a program is installed or just a set of files, perhaps from a backup. I keep a full backup of my system from before a format, just in case I missed something – in this case, Secunia has all sorts of issues with my old stuff. Again, I just add the backup directory to the ignore list. 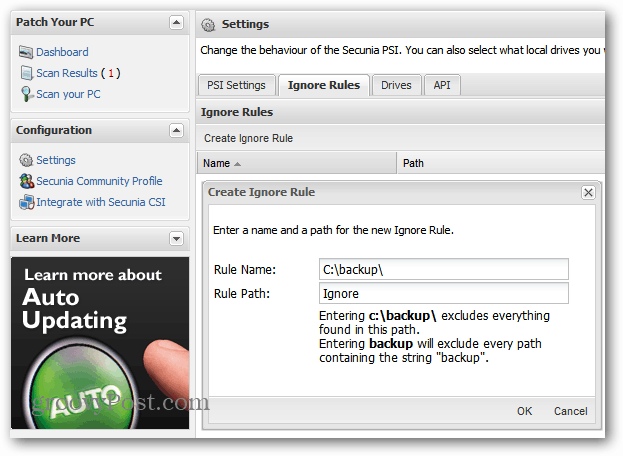 Download Secunia PSI — It’s free for non-commercial use. I use this myself. It is a terrific tool. Yes Mike. It really is. Highly customizable and tons of great features.